Remember Jesus Christ, raised from the dead, a descendant of David – that is my gospel, for which I suffer hardship, even to the point of being chained like a criminal. But the word of God is not chained. What do we think of the bible? Is it a text that we are called to master like a subject from school? Should we memorize the facts and dates like a work of history? Should we analyze the literary techniques like a famous work from Shakespeare? Today, in the lives of Christians, the Word of the Lord is often chained to the realm of the church. If we want our children to learn about the bible, we send them to a Sunday School classroom. If we have a friend grieving the loss of a spouse, we recommend that they go speak with a pastor. If we are unsure about how to encounter a troubling topic, we ask to hear a sermon about it in worship. But, as Paul reminds us, the word of God is not chained! The bible demands our attention and our affection. It yearns to be read and savored. It should not be relegated to the confines of a church building and should instead sit at the heart of what it means to be a family and what it means to be a community. Can you imagine how all children would feel about scripture if someone they loved took the time to read them the stories? Can you imagine how differently you would feel about the bible if someone took the time to read it to you when you were younger? The call of Christians, all Christians, is to remember Jesus Christ, raised from the dead. We remember the great stories of the bible when we gather together in worship on Sundays, but that is not enough. We remember the greatness of the risen Lord whenever we share his gospel with the people we love: our families, friends, and neighbors. We remember the acts and grace of God whenever we sit down with one of our children and grandchildren to tell them about how Jesus changed our lives. We remember the resurrection when we believe the Word of God is unchained and worthy of our time. It was dark but I felt invincible. I was seventeen years old, with a fresh driver’s license in my wallet, and we were driving to the church in the middle of the night on Easter Eve. My friend, Will, and I had come up with a plan on how to make this particular Easter one that no one would ever forget. We were young and dumb. For as long as I could remember, the church always set up a tomb on the front lawn of the church during holy week. It was the size of a small shed and it stood out like an oppressive eye sore to remind everyone what Easter was really about. From Good Friday through Saturday, volunteers would stand guard by the tomb wearing Roman centurion costumes and would try to look stern while also waving at people that drove by. It was the church’s attempt to reexamine the greatest moment in the history of the world, but after years of seeing the same men stand by the same tomb, it had lost its impact. On Easter Sunday, someone was always tasked with getting over to the church before anyone else to roll back the stone on the front of the tomb. That way, while people were scrambling to find parking spots before the service started, they could remember how the stone was rolled away when the women and first disciples discovered Jesus’ resurrection on the first Easter. But for Will and I, it was time to up the stakes and make it an Easter worth celebrating. We were tired of the same resurrection stories, we were tired of people entering and leaving much the same on Sunday, and we were tired of the familiarity that had become Easter. So we snuck out in the middle of the night, much to the later frustration of our parents, and we drove over to the church. Under the cover of darkness we rolled back the stone that covered the entrance to the tomb, and we carried it across the church lawn to the main sanctuary entrance. There is a slanted roof above the main doors that everyone can see, and we decided it was the perfect place for the stone. Of course, we hadn’t planned on how difficult it would be to lift the wood framed faux stone that was as tall as us on to the roof, so we had to back my car up under the gutters and toss the stone up onto the shingles. It was perfect, and I can still remember how quickly we peeled out of the parking lot with proud looks on our faces. We were going to recapture the power of Easter for our church. Much like Christmas Eve, I couldn’t sleep. I was so excited to see the faces of all the people in worship when they noticed the stone on the roof, I couldn’t wait to hear our pastor make a comment about God’s cosmic power to roll back stones, even onto the church roof, during his sermon, but mostly I was excited to see people excited. I arrived with my family in our perfectly coordinated outfits with a lot of expectation. I could not keep back a permanent grin on my face the whole way to the church, and when we got to the parking lot I couldn’t believe what I saw. Sure enough the stone was still on the roof of the entrance, it was in clear sight for everyone to see, but not a single person had noticed it. They were all walking in and talking like it was like every other Sunday. Even worse, during the time before the service started, I moved around the sanctuary to eavesdrop on all the conversations and not a single person mentioned the miracle on the roof. I don’t remember a word for the sermon that year because I sat disappointed in my pew with my arms across my chest. The joy of my expectation had been replaced with frustration at the lack of reaction from the congregation. When the service ended, my family got in line with everyone else to shake the pastor’s hand. We slowly made our way forward until I lazily offered my hand and the pastor grabbed it and pulled me close. “Oh, really?” I said dismissively. Have we become so content with Easter that it no longer shakes us? Are we so entitled that we have accepted the gift of eternal life without recognizing how transformative it is? Does Easter still shock us the way that it should? The women got up early and made their way to the tomb. They were expecting it to contain Jesus’ dead body, they were still grieving over the death of their friend, but they knew what they had to do. And suddenly there was a great earthquake! An angel of the Lord descended from heaven and rolled back the stone and sat on it. His appearance was frightening and he scared the Roman guards to such a degree that they became like dead men. This is shocking stuff. Jesus, dead on the cross, was placed in a grave, and three days later he rose. An angel appeared with an earthquake to roll back the stone at the tomb and proclaim God’s love through the resurrection of his Son. And at the end, the women respond in fear, joy, and worship. Easter is an earthquake the shook the entire world, and more than that, it shook time itself. No more would God’s created beings be limited to the confines of earthly life, no more would the grace of God be limited to a particular time and place, no more would death have a sting. This great gift of resurrection, the gift of Easter, shakes the very foundations of existence. But does it still shake us? We like Easter to be easy on the senses and on our consciences. Many of us like to dress up in our best clothes, and wear the right colors, and have an Easter egg hunt. Some of us are like the church of my youth who experienced Easter like any other holiday. Others are like the first disciples who were ready to get back to their lives after their Lord died, but then he showed up on Sunday and shook the world. On Friday I came to church at about noon to take up our sanctuary cross and drag it through Staunton. This has been my holy week tradition since becoming a pastor and it always yields interesting results. The first year I carried the cross I was largely ignored; no one spoke to me or even acknowledged my presence. Last year was totally the opposite, people honked at me and waved their hands; I even had a few people yell curse words toward my direction. This year however, I was met with reverence and ignorance. During the first hour or so I lost track of how many people rolled down their windows to shout “Amen!” or “God Bless!” When I walked up and down Beverley Street many people placed their hands into the posture of prayer, or bowed their heads, and even some people made the sign of the cross across their body. It was powerful for me to experience how much the cross was interrupting their lives. I witnessed God’s power made manifest in the cross on my shoulder as it met people and reminded them how far God was willing to go to transform the world. But as I was getting ready to turn and start heading back, I saw a young family standing on a corner and I figured that I should keep walking. The husband and wife were cautiously sipping on their to-go coffees while their 8-year-old son was jumping to avoid cracks in the sidewalk. As I got closer they all started to notice the strange man carrying a cross on his shoulder, and they remained silent as I passed by. While I continued up the hill I couldn’t help but laugh at the episode I had just experienced. But then my laughter turned to sorrow, for I realized that young boy had no idea what Christ did for him. He had no knowledge of Christ’s magnificent sacrifice on the cross to open up the gates of heaven. He had no understanding of the earth-quaking good news of Easter. Every year Easter interrupts ous sensibilities and behaviors. On this day we feel the earth shake beneath out feet because God has conquered death. We are jostled to and fro by the empty tomb because it radically reshapes the way we live. The resurrection is about power and grace. In it we see how God took something like the cross, a sign of death to the world, and made it into the means of celebration. On Easter, God transformed the tomb in the same way that he did on Christmas in a virgin’ womb; God made a way where they was no way. On Easter, God changed the world. So come and taste the goodness of God in the bread and the cup. Listen for salvation in our songs and prayers. Witness the power of resurrection in the people in the pews next to you. Hear the Good News, the best news. Hear it and let is shake your lives. He lives! Hallelujah! Now Jesus did many other signs in the presence of his disciples, which are not written in this book. My favorite piece of scripture is Mark 10.45: For the Son of man came not to be served but to serve, and to give his life a ransom for many.” I love the idea that, like Jesus, we are called to serve the needs of others rather than focusing on ourselves all the time. One of the verses that has made the most impact in my life is from Matthew 27.46: “And about three o’clock Jesus cried with a loud voice, “Eli, Eli, lema sabachthani?” that is, ‘My God, my God, why have you forsaken me?’” Through it I began to realize the depth of Jesus’ humanity and what he went through on our behalf. And I have to agree with him. Why in the world would John omit other stories about Jesus’ life? If there were other miracles, other teachings, other divine moments, why wouldn’t he include them in the gospel? Most of the time I read from the bible I feel very fulfilled, but when I read John 20.30 I feel like I got short-changed. Yet, on some level, I feel like it’s quite appropriate. If Easter tells us anything it’s that the living Lord is still on the move meeting us on the roads of life. John’s gospel could never contain all of Jesus’ miracles because he is still making them happen here and now. Sometimes we believe that we can only find and discover the Lord in the sacred texts of scripture, but that’s when we need to open our eyes to the wonders around us and see how God is still moving in the world. When was the last time you felt the presence of God? Hopefully you experienced the Spirit of the Lord during your recent Easter service, or maybe you discovered God in the breaking of bread during communion. This week, let us all take heart knowing that we can find God in the words of scripture and in our experiences in the world. And what more should I say? For time would fail me to tell of Gideon, Barak, Samson, Jephthah, of David and Samuel and the prophets — who through faith conquered kingdoms, administered justice, obtained promises, shut the mouths of lions, quenched raging fire, escaped the edge of the sword, won strength out of weakness, became mighty in war, put foreign armies to flight. Women received their dead by resurrection. Others were tortured, refusing to accept release, in order to obtain a better resurrection. Others suffered mocking and flogging, and even chains and imprisonment. They were stoned to death, they were sawn in two, they were killed by the sword; they went about in skins of sheep and goats, destitute, persecuted, tormented — of whom the world was not worthy. They wandered in deserts and mountains, and in caves and holes in the ground. Yet all these, though they were commended for their faith, did not receive what was promised, since God had provided something better so they would not, apart from us, be made perfect. Today we conclude our Advent Sermon Series on “New Beginnings.” This is the final Sunday leading up to Christmas day, and over the last few weeks we have prepared our hearts and minds for the coming of God in Christ. We began with Abram being called into a strange land. Next we looked at Samuel being called by name in the temple. Last week we explored Paul’s conversion on the road to Damascus. 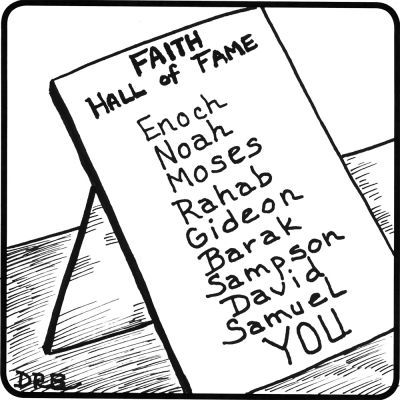 This morning we conclude by looking at the Faith Hall of Fame from Hebrews 11. And what more should I say? For time would fail me to tell of Fletcher Swink, Sam Stanley, Zig Volskis, Patricia Meadows, and the other pastors — who through faith endured frustrating congregations, proclaimed God’s presence, fought for justice, became mighty in honor, and brought people to the Lord. Hebrews 11 contains what I call the “Faith Hall of Fame.” The entire chapter is devoted to the great leaders and prophets from the Old Testament and their willingness to stand up for God even when it meant certain doom. They so fervently believed that God was with them, that they were willing to embark on new beginnings when others refused to obey. The closest thing we have to a Faith Hall of Fame here at St. John’s can be found in our parlor next to the narthex. Inside you will discover a picture of every pastor that has had the good fortune to serve this church since 1954. From Fletcher Swink to yours truly, every pastor has been framed and dated, hung with care, and honored with a spot on the wall. Have you ever taken the time to look through the pictures? It was one of the first things I did when I was newly appointed, and frankly the room terrifies me. Whenever I sit in the parlor with a group of people, I feel the heavy gaze of the pastors, they look down from their Faith Hall of Fame, and I can’t help but wonder what they think of me. Marshall Kirby begged me my first week to give him a picture so that he could put me up with everyone else. I hesitated. For weeks he bugged me about getting the picture, about having it be just the right size and tint to blend in with the others. But I continued to put it off. I kept making excuses about how busy I was, or about the priorities I needed to focus on, but the truth is, I didn’t feel worthy of going on the wall. I had been here for such a short amount of time and felt that I hadn’t done anything that earned me a spot in the Hall of Fame. When I’m in the parlor, when I experience the St. John’s Hall of Fame, I think about all the things they must have gone through to bring this church to where it is. I think about Fletcher Swink starting the church down the road at the Auto Parts store. I imagine that it required a tremendous amount of faith to believe that God had call him from Durham, NC to Staunton, VA to start a new church; to make something of nothing. How many nights did he pray for God to send him people, how many afternoons did he spend worrying about the new building project, how often did he confront frustrated parishioners about his sermons? When I’m in the parlor, when I experience the St. John’s Hall of Fame, I think about Patricia Meadows being appointed as the first female pastor. I wonder about how hard she had to work to gain the trust of the people, what lengths she had to go to to reignite the flame of faith. I imagine the deep prayers she offered to God about sending new sheep to her flock, the lonely days of sermon preparation, and the terrifying moments of standing by the graveside with friends and family from the church. How often did she wrestle with her call when she felt persecuted, how many days did she spend praying for the people of our community when they were no longer able to offer their own prayers, how did she feel standing up against the injustices around her? I wonder about all the pastors of this church, and what they went through for God’s kingdom. What was it that set them apart? What did they do that helped to grow and nurture faith in this community? Last week I was standing in the parlor, admiring the past, when I realized how similar our Faith Hall of Fame is to the one listed in Hebrews 11. The people of Israel’s past were not of special value. Gideon was hesitant and timid when he was called by God; Barak had to be shamed by Deborah into fighting for the Lord; Jephthah is remembered mostly for his rash oath; Samson was weak of mind and conscience. Similarly, there is nothing particularly special about those who have served our church. Though undoubtedly unique, they contained no special powers that set them apart from other clergy. Each of them had strengths and weaknesses that became manifest while they served the church. Our pastors, and the heroes from Israel’s past, were set apart because they did all things “through faith.” They worked knowing that the real significance of what they had done would never be seen in their own time, but something that would come much later. They suffered through persecution and injustice because they believed in God’s goodness even when the world claimed the contrary. We remember the ways our pastors have suffered: Angry emails/letters about inappropriate sermons, knowing glances and whispers from the committee members in the parking lot (where the real meetings happen). Shouts and finger pointing during counseling sessions. Years of loneliness serving a church full of people who cannot see the pastor as anything other than pastor. Doubts when preparing funerals for people in the community. We read about all the ways the faithful of Israel suffered: torture, mocking, flogging, chains and imprisonment. Stoned to death, sawn in two, killed by the sword, wandered about in the skins of sheep and goats, destitute, persecuted, and tormented. This is what evil does to the good. It attacks at the core of our being, shakes our faith, and encourages us to doubt. Yet, reading these words and remembering our church’s past should bring us courage and hope. We see in them the willingness of people to go and risk it all for God. Pastors who remained brave and faithful when others tried to break them down. Prophets who spoke the truth when others sought to kill them. We see in them the true courage that faith can develop. It only takes a moment to see this tremendous faith in the world today, people standing up against injustice when the world argues the contrary. 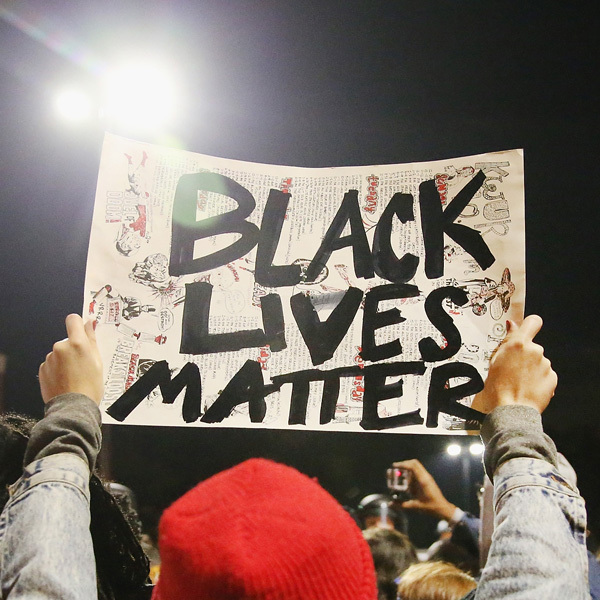 Consider the droves of people standing with their hands up and holding signs that say “Black Lives Matter” in response to Ferguson. Consider the droves of people standing shoulder to shoulder with the LGBTQ community during Pride marches in response to fanatical attacks against sexuality. We remember and read and see the ways people suffer for God’s kingdom and we commend them for their willingness to go and be grace for the world. God sends into our confused and cruel humanity his messengers and prophets. God sends them into the midst of the wolves so that we might not be left to our evil ways, that we may see in them hope for tomorrow, and in response turn back to the God of mercy. Yet all these, though they are commended for their faith, did not receive what was promised, since God had provided something better so they would not, apart from us, be made perfect. Whether Gideon, Barak, Fletcher Swink, or Zig Volskis, their completion depends on us. Their faith rested in God who would fulfill his promises. They served the Lord as an anchor cast into the days ahead; faith is built on hope for the future. Abraham’s faith would have been in vain if his descendants never made it to the Land of Promise. Samuel’s faith would have been in vain if he had not responded to God calling him by name in the temple. Paul’s faith would have been in vain if the resurrected Christ had not appeared to him on the road to Damascus. Apart from us they cannot be made perfect. The completion of those from the Faith Hall of Fame depends on us. We can fulfill their faith even today by going out and being Christ’s body for the world. Yet too often we forget how indebted we are to the past. We neglect to remember how faithful Abram, Samuel, and Paul were. We brush aside all the pastors who worked with every fiber of their being to bring about God’s kingdom here on earth. Every good thing that we have and enjoy was consecrated by the sacrifices of the past. We have faith because the people of the past passed it along to us. So today, we in our turn cast our anchors into the future. Without those who are to come after us, without the youth of our church and without the children of our preschool, we shall not be made perfect. We are who we are because of the past. We will become what God intends for us because of the legacy we pass on to the future. Our new beginning comes when we cast our hope into the future of God’s kingdom, when we stand up for something new and different that breaks from the past, when we take steps in faith knowing that God is with us. God is with us. In a few days we will gather again to celebrate Christ being born into the world to be God with us. We will look to that lowly manger and remember that God came to dwell among us and encourage us to be brave people of faith who remember the past and cast our hope into the future. Our purpose does not depend on our own power, but on the strength of love that comes from the Lord and in community with one another. I still feel uncomfortable whenever I’m in the parlor. Sets of eyes follow me from the past, and I see in them everything they went through to bring our church to where it is. I believe in their hope cast into the future. In all of you I see the seeds that they planted long ago that are blossoming into true discipleship today. I see my picture on the wall and feel unworthy. But that’s when I remember that it’s not about me and it’s not about what I do. It’s about what God does through me. It’s about what God does through you. Amen. “Taylor,” he began, “I have been attending worship at United Methodists churches nearly every Sunday since I was a child and I have never heard anyone preach on the texts you chose this month.” We were sitting in the church social hall after worship yesterday afternoon when a member of our church made it known that he was still learning something new and church and growing in his discipleship. Georgeanna Driver, one of our members who passed away last week, made a similar comment two weeks ago about not knowing that story (Elisha and the she-bears) was even in the bible. It has been exciting and thrilling over the last three weeks to challenge peoples’ perspective on what the Word of the Lord can still speak into our lives today, even stories we might otherwise choose to ignore. When I was at Duke for seminary our Dean, Dr. Richard Hays, reminded us that the responsibility of the Christian is to be constantly transformed by the renewing of our minds. Etched in the marble archway leading into the chapel, Romans 12.2 is a relevant reminder for students of God’s Word but even more so for the people who have been called to follow Christ. In today’s world/society it is too easy to remain complacent with our understanding of faith and overreact when a new person/idea challenges our faith. In stark contrast Jesus was regularly pushing his disciples into new territory with understandings about the kingdom of God. What we do as Christians is primarily about God, and only secondarily about us. We gather on Sunday’s to hear the Word of the Lord and then live it out in the world. Worship is that time that helps in the transformation and renewal of our minds so that we may discern God’s will for our lives, rather than be conformed to the ways of the world. Outside of worship we can be transformed through the reading of scripture. 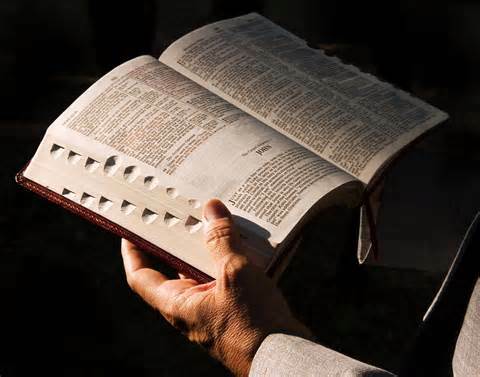 Try opening your Bible to a book or a chapter you’ve never read (or haven’t read in a long time), read a set number of verses, and then pray over them. Ask yourself: what might God be saying to me through these words today? The Word of God is alive and speaking anew everyday, we need only the faith to hear it and live it out. I was sitting in a room full of pastors and priests when I made a promise to myself: Before I finish my first year of ministry I will preach on Genesis 1. Today is the day that I make good on that promise. I had been helping a church in Bryson City, North Carolina when I was invited to participate in a weekly lectionary group. Every Monday morning the clergy people of Bryson City would get together to talk about the readings for the following Sunday. We met at the large local Baptist Church, ordered breakfast to be delivered, and then we would take turns reading the scriptures and share what we thought we would preach about. Without a doubt, this was one of the most profoundly rewarding experiences of my life. Week after week I heard from clergy of all different denominations (Presbyterian, Baptist, Catholic, Methodist, etc.) as they wrestled with God’s Word and how to proclaim it from very different pulpits to very different people. When I finished, as was our custom, we waited for individuals to speak up about what they planned to do with the text during worship. Silence filled the room. So I decided to ask the obvious question, “Is anyone preaching on Genesis 1 this week?” The silence remained. I remember thinking “How strange is this? We’re talking about the first lines of scripture in the bible and no one is preaching on it in Bryson City this week.” It was clear that some of the clergy wanted to move on to a different reading but I felt compelled to ask another question, “Have any of you ever preached on Genesis 1?” One by one they confirmed my suspicion; not one of those pastors, priests, ministers, or preachers had ever delivered a sermon on the beginning of Genesis. Now I know that they quickly propelled the conversation in another direction but I silently began calculating from my chair. In that room we had over 100 years of preaching represented. Over 100 years of preaching, more than 5,200 sermons, and not one of them had ever proclaimed the beauty of God’s creation from Genesis. 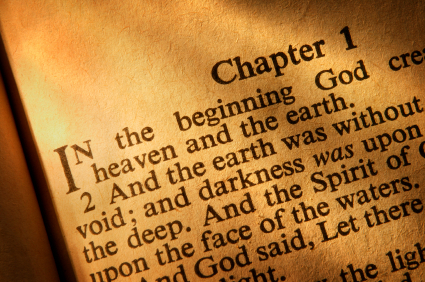 So I made a promise to myself that very morning: Before I finish my first year of ministry I will preach on Genesis 1. Why do you think they chose to ignore Genesis 1? What makes this text so unappealing to proclaim in church? The main thrust of the text is contained within these first words: In the beginning God. Here we discover our faith in the foundation of all life, that God and God’s creation are bound together in a distinctive and delicate way. This profoundly simple yet unimaginable claim is the bedrock for everything that follows throughout the rest of the Bible. God and his creation are connected powerfully together for all time. How does God bind creation together? The text is clear: In the beginning the earth was formless and darkness covered the face of the deep while a wind from God swept over the face of the waters. Then God said, “Let there be light”; and there was light. 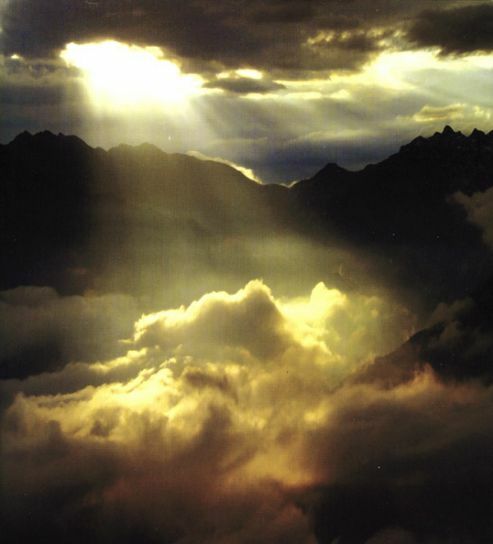 And God saw that the light was good; and God separated the light from the darkness. God called the light Day, and the darkness he called Night. And there was evening and there was morning, the first day. Notice: with this description of creation we need to see that this text is NOT a scientific description, but instead a theological affirmation. It has been urged for centuries that Genesis 1 is a historically analytical account of what “actually happened.” But that kind of scientific, descriptive, and forever definitive reporting is foreign to the text and to the world of the Bible. God’s Word is not a textbook. The bonding of creation cannot be explained or analyzed. 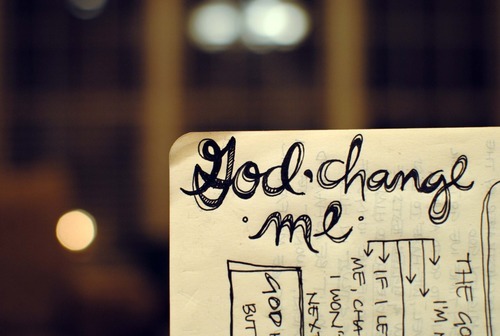 It can only be affirmed and confessed. Many who have struggled with their faith want to know the answer to “how?” But, when reading from Genesis, we discover that the convictions expressed in the scripture did not come from sight, recordings, and measurements. Whoever wrote about the creation in Genesis 1 was not standing by when God created. Our Lord is not an object to be perceived and measured like other objects in the world. 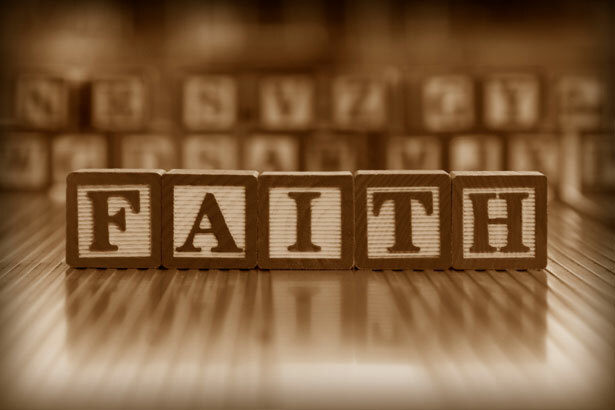 It is by faith that we affirm this creation, not because we saw it and observed it and measured it, but that our lives and relationships with God affirm that goodness and interconnectedness of our lives with the God who created life. Perhaps the pastors reluctance toward preaching this text was born out of the fear that comes with reconciling Genesis 1 with scientific claims about the beginning of the universe. Maybe they ignored this text because they were unsure how to explain the way God created. However, the job of preaching is not to explain, but to proclaim. The words ‘create’ and ‘make’ are used prevalently here in Genesis 1. God created the heavens and the earth, God made the dome and separated the waters, God created the creatures in the water and the birds of every kind, God made the wild animals of earth, God created humankind in the image of God, etc. The actions are important but the dominant mode of creation takes place in speech. God spoke creation into existence. The way of God with his world is the way of language. God speaks something new that never was before. God is the author and orator of life. God speaking life into existence cannot be explained by the ways of the world, yet we are all here because God spoke life into all of us. Genesis 1 makes the great and wonderful theological claim that a new word has been spoken that transforms reality. The word of the Lord that shaped creation is an action which alters reality forever. God created all things through God’s word, and his creation did not stop with the creation of humankind. God continues to speak new words into existence every single moment. Every infant child is a word spoken by God, every new blooming flower, every river that flows, every sun rise and sunset are caught up in God’s continued commitment to speak to us, through us, and for us. God is always speaking something new and fresh into the world, we need only stop and listen to let God speak. When Wesley returned to England he was no closer to finding what he had been searching for. He continued to fill his life to the brim with service and preaching to the point that he shut out any other influence. However, on May 24th, 1738 Wesley unwillingly attend a Moravian society meeting in the evening when Martin Luther’s preface to the letter of Romans was being read. 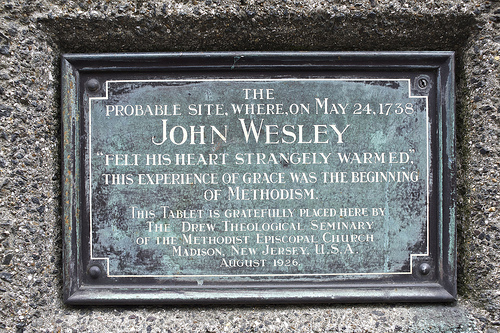 While the reader was describing the change which God works in the heart through faith in Christ, John Wesley felt his heart strangely warmed. He experienced for the first time a trust in Christ, Christ alone for salvation. An assurance was given to Wesley that Christ had taken away his sins and saved him from death. Wesley had a difficult time explaining exactly was happened to him that day; it was beyond his ability to describe in such a way that it could be measured and known. But to him, it was as real as life could get. From that moment everything changed in his life and his commitment to the love of God in the world was the seed that blossomed into what we now call the United Methodist Church. 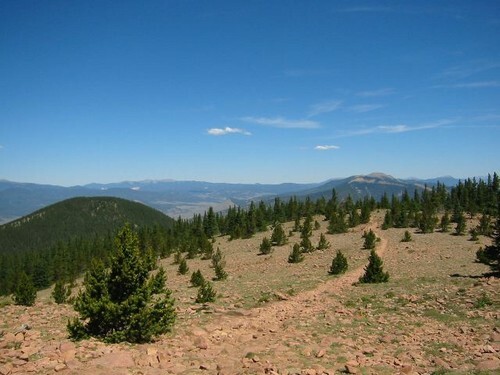 When I was in Boy Scouts I had the opportunity to hike throughout northern New Mexico at a place called Philmont. Toward the end of our 100 mile hiking adventure we gathered one evening in a white pine forrest near the top of Mount Phillips. We spread apart to spend time in silence to reflect on our time in the wilderness. As I sat there with the wind blowing the grass I was overwhelmed by the sheer beauty and wonder of God’s creation. I had already witnessed perfect sunsets and flowing rivers, but for whatever reason that night was the first time that I began to witness the depth of God’s love through his creation. Like Wesley, I believe that I was opened to the wonder of God because I had finally stopped trying to fill my life with so many other distractions. It was only when I stopped to let God speak, that I heard God’s calling of creation. We can fill our lives with distractions and information. We can read all the magazines and books that explain how God created the world, whether in seven literal days or in seven ages of time. We can listen to pastors and preachers explain away the creation of life with simple metaphors and memorable one liners. But the truth of God’s creation can only be discovered in letting God speak. Creation was not a one time, one moment, event. Creation continues to take place every moment of every day. God’s word is alive and filling all things with glory around us. 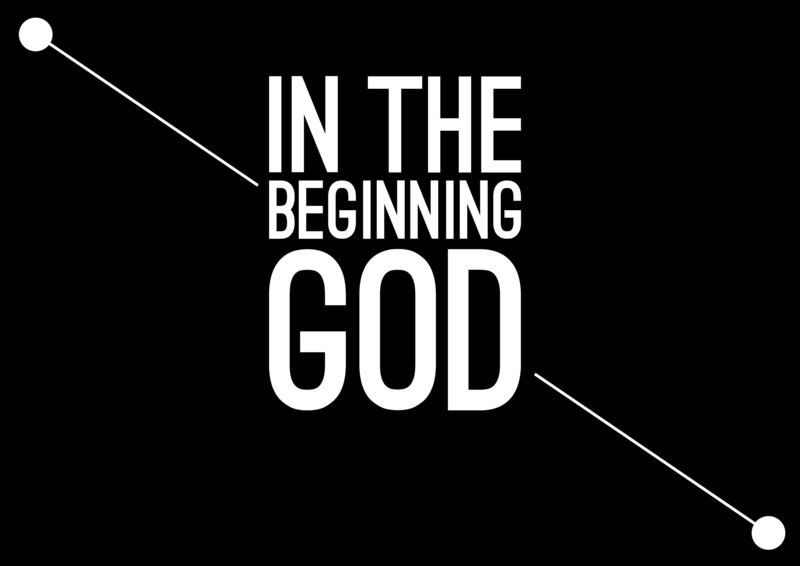 In the beginning, God. Can you think of anything more comforting than the fact that God has been at the beginning of all things? Not just the creation of life, but God was there when you came into being, God sits at the very beginning of each and every one of us. At the inception of every relationship, every idea, every belief, every smile, and every laugh God is there. God is, and because God is, we are. It took me a long time to learn to let God speak. And frankly, I’m still not very good at it. But until I began to try to quiet myself, to learn to listen, God’s Word was limited to words on paper. Creation came alive for me when I stopped long enough to realize that God’s love for us, in creation, is beyond my ability to fully grasp, comprehend, or explain. There is an immeasurable beauty in standing before something that you cannot fully know. There is wonder in letting God speak something new and fresh into your life. There is peace that comes in hearing the Word become incarnate in the way we live. Genesis 1 is powerful and beautiful. It is strange and unknowable. It conveys the depth of God’s love in a way that we can never explain. It refuses to be compartmentalized, rationalized, and sterilized. Instead, its delightfully mysterious, curious, and glorious. In the beginning God spoke life into creation, and God continues to do so every moment.